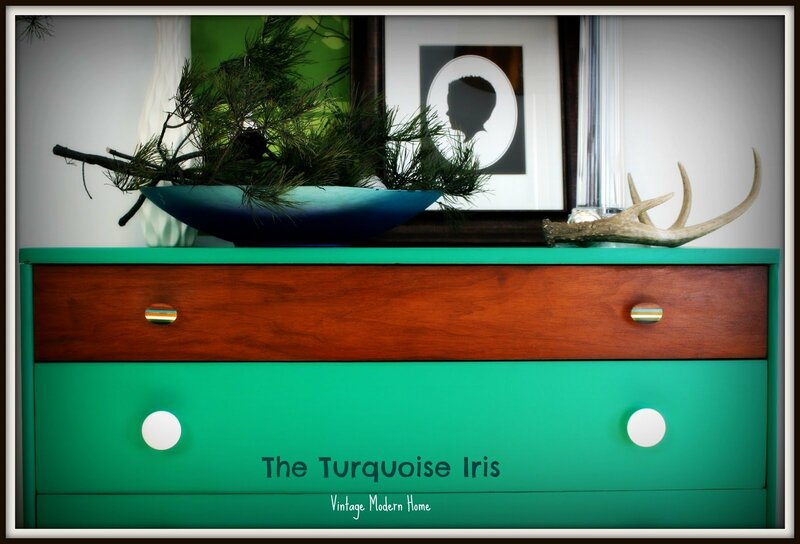 The emerald green looks so bright and happy against the original wood top drawer. 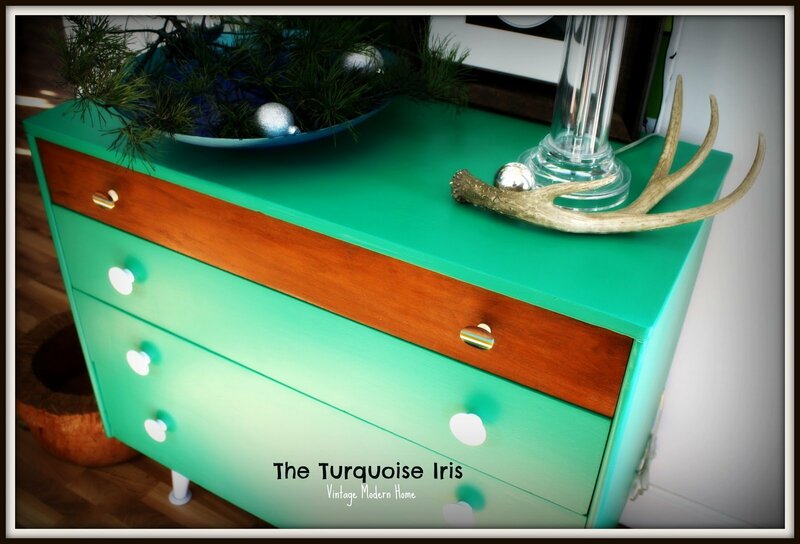 And, the winter white glossy paint on the original knobs and legs of this dresser give it an updated vintage modern look…perfect for your modern home! 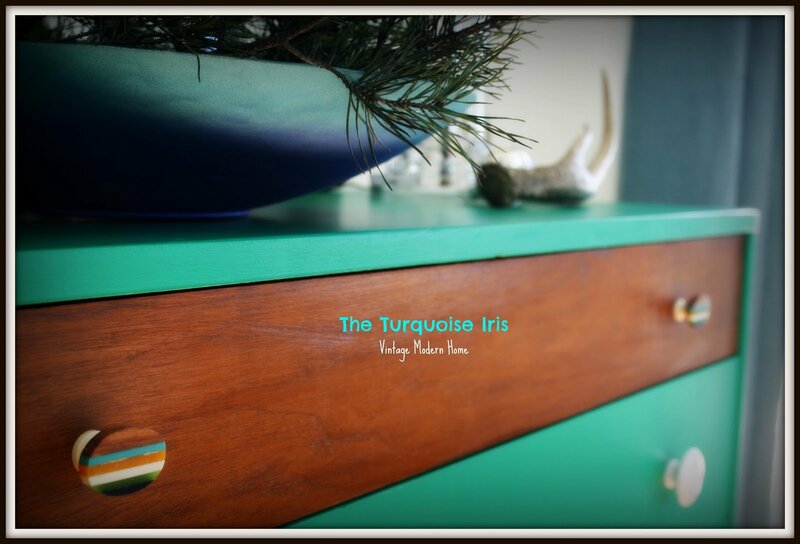 I added the 2 mod striped knobs from Anthropologie to add the perfect accessories. This piece is now for sale and ready to purchase Here on my Etsy Shop, The Turquoise Iris! this is great! I love your creativity and unique-ness. you are brave. Ooooh! 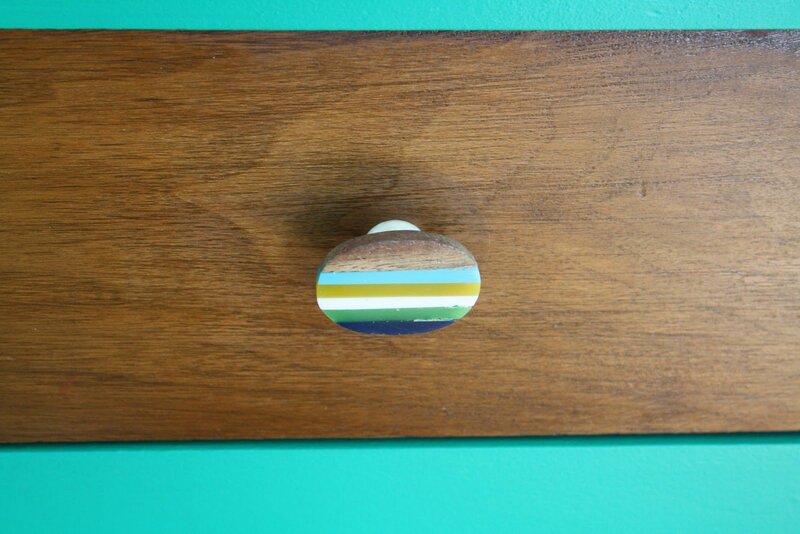 That's pretty! Great job! I'm off to check your shop now! 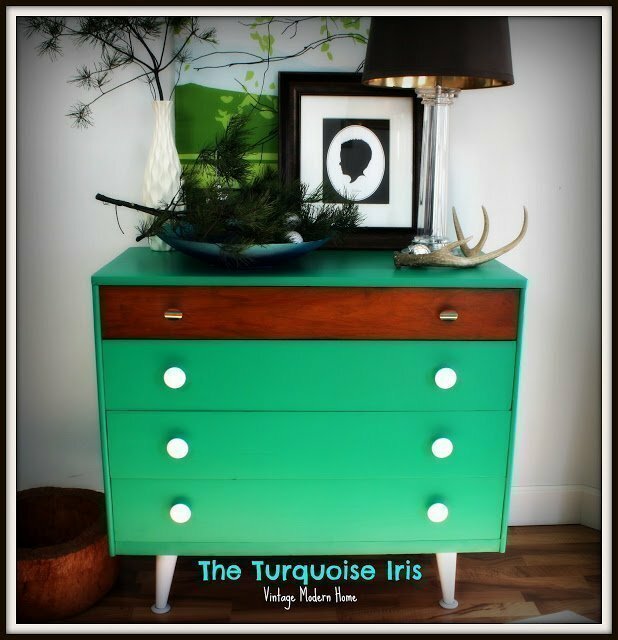 I love this dresser! Wish I had some place to put it!